Alliance of Heroic Hearts is a non-profit organization with the sole purpose of bringing out the hero in ordinary people. Our 30+ heroic volunteers are here to educate, encourage, and insire children everywhere by showing them they do not need superpowers to make a difference in their community. • Superhero Training Academy, our very own free community event for children hosted in partnership with Centre Elite Gymnasium. • Local festivals, to give out free balloons and allow children to make their own superhero masks. • Relay for Life, THON, and other charitable events that do heroic work. Alliance of Heroic Hearts is completely funded by the generosity of donations from incredible people like you. We never have and never will charge for anything we do. Inspired by the lack of positive role models in a modern day era, Maya Shenoy, a neuropsychology student, created Alliance of Heroic Hearts in the fall of 2015 to harness the influence/energy of popular characters and channel them into a stream of education, encouragement, and inspiration. 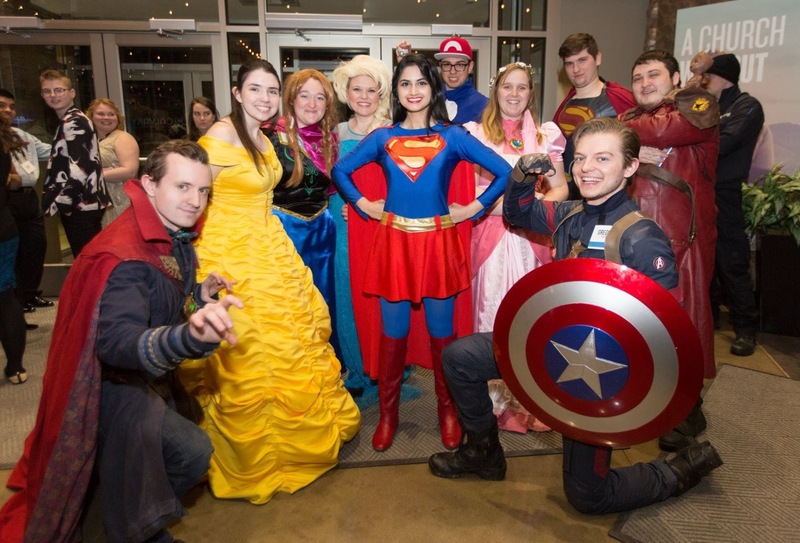 By visiting schools, hospitals, libraries, and community events under the identity of superheroes and princesses, the group was able to instill values of hope, happiness, and success upon children and families. Through dancing, singing, crafting, and stories, volunteers of Alliance of Heroic Hearts are able to take a creative and diverse approach to restructuring the way children view role models. The chain reaction of smiles allowed the group to expand from just a handful of members to over 30 active members in state college alone with its own event called Superhero Training Academy which promotes physical and mental health practices along with practicing methods of non-violence and problem solving in a safe environment. The group has also expanded to form a branch in Philadelphia and plans to spread its wings across other regions and states in the near future. A few photos from recent events!